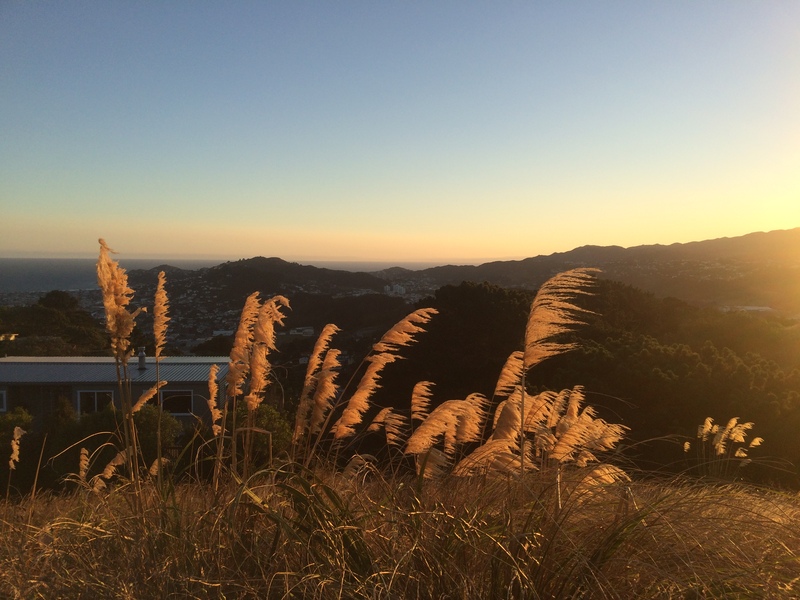 Thirty hours of travel later, we arrived in Wellington on a sunny, warm summer afternoon. We unpacked and assembled our bikes in the airport parking lot, loaded our bags onto them, and set off toward the city center. Our route, direct and hilly, went up and over Mt. Victoria to get the best view of the city before descending into the coastal city. Finally, after so much airplane air, the sun and fresh breeze felt wonderful. Before catching our ferry to Picton the next day, Cindy discovered a buckle on her cycling shoe had snapped off. Lucky for her this didn’t happen when we were in the middle of nowhere at some later point in the trip, but in a city with plenty of bike shops. And lucky for her, the first shop they stopped into was Capital Cycles, who not only had the needed shoe bit, but was also full of nice and helpful people excited to learn about our upcoming adventure. (Thanks, guys!) Errand-doing around the city helped us get a bit more accustomed to wrong-side riding, and to watching for cars over the opposite shoulder from what we’re used to. 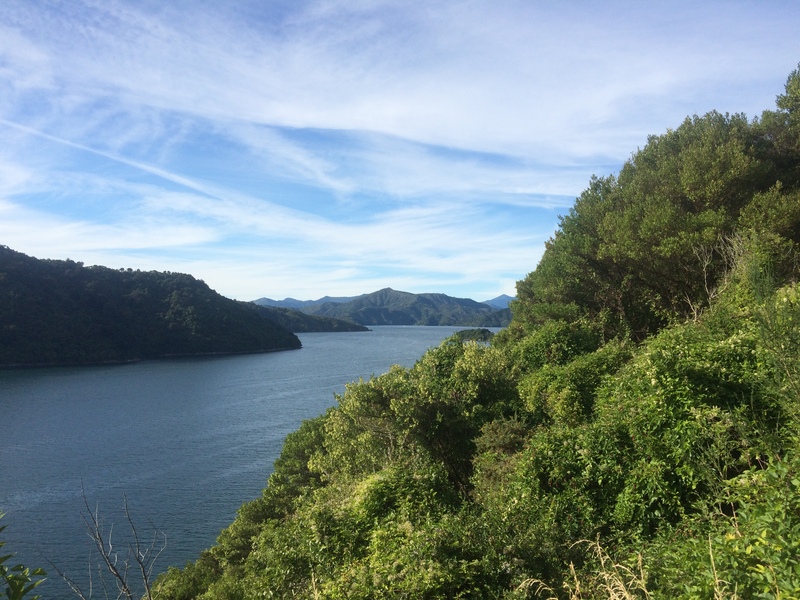 The following day’s ferry ride was smooth and increasingly gorgeous as we passed through the Marlborough Sounds and into Picton. 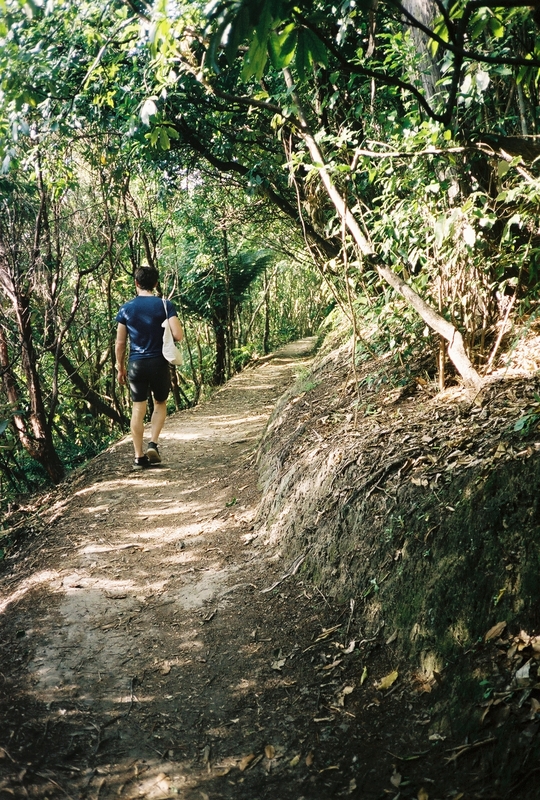 A walk along the Harbor View Track from Picton’s center revealed to us the cacophony of sound we’d be hearing for the next few weeks: birds, some familiar, some sounding all sorts of unfamiliar calls; and, overwhelming all other sound, the cicadas. We wondered how we’d ever get used to the constant, unrelenting roar!